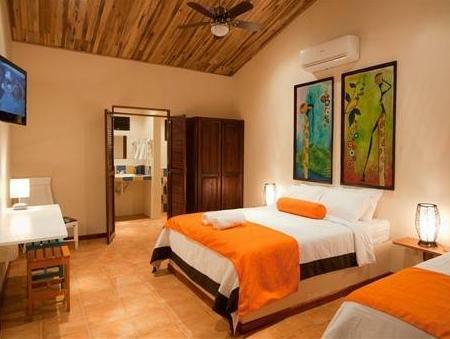 ﻿ Best Price on Hotel Pasatiempo in Tamarindo + Reviews! The Hotel Pasatiempo is 4 minutes' walk from Tamarindo Beach features an outdoor pool, lush tropical gardens and air-conditioned rooms with private terraces. 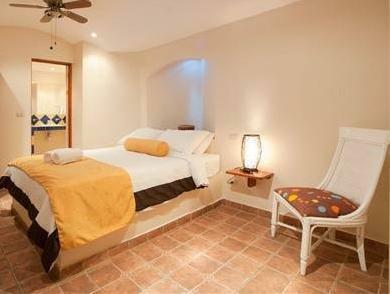 Each room at Hotel Pasatiempo has bright décor, orthopedic beds and flat-screen TVs with cable channels. The private bathrooms feature colorful tiles, hot water and organic toiletries. A tour desk, ticket service, and concierge are on site. An airport transfer can be arrange to or from the Liberia and San Jose airports for a fee. A free continental breakfast is provided in the Pasatiempo's restaurant, which is set in a palapa-style hut. The Monkey La-La pool bar serves fresh local food and exotic cocktails. Staff can arrange activities such as safari boat trips, snorkeling, fishing and quad biking, as well as whale or turtle-watching trips. Las Baulas National Park is less than 1.2 mi from the hotel. Please note that the parking space is on the outside of the property. It is limited, therefore it will be subject to availability. Please inform Hotel Pasatiempo of your expected arrival time in advance. You can use the Special Requests box when booking, or contact the property directly using the contact details in your confirmation. Guests are required to show a photo ID and credit card upon check-in. Please note that all Special Requests are subject to availability and additional charges may apply.